Donation corner – save an innocent life. Welcome to the donation corner! 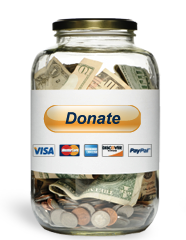 The donation corner is here to help raise funds for Clinton’s defense and to create awareness for Clinton’s case. You could also use PayPal to make donations. PayPal is safe, easy and fast. All the donations will be transferred to the foundation’s bank account. You can use the button below to donate via PayPal. Via https://tdcj-ecommdirect.portal.texas.gov you can buy Clinton all sort of food, snacks, paper and so on. If you do not want to buy him something, but just want to donate him money so he can choose something himself, please know that you can use www.jpay.com to send him some money. We really want to thank everyone for the support! It truly does make a difference!